Bruce Eshenaur, age 71 of Grand Haven, formerly of Pentwater and Holland, passed away Friday, January 18, 2019 in Newberry, MI. He was born on October 6, 1947 in Holland, MI to the late John A. Vanden Bosch and Lucille (Wever) Eshenaur. Bruce married Cheri VanderMolen on August 25, 1990 in Grand Haven, MI. Bruce worked in Construction for many years before retiring. He was a man who liked working with his hands and could build anything. One of his hobbies and passions was driving his 1966 black Mustang Convertible, which he completely restored himself. Bruce loved being outdoors and enjoyed golfing, camping, canoeing, and traveling. He also had a love for dogs, and was very passionate about their welfare. Bruce will be fondly remembered and missed by all who knew him. 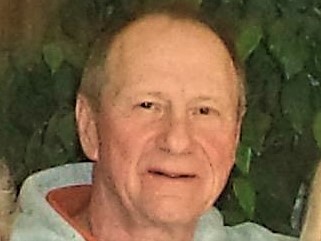 He is survived by his wife of 28 years, Cheri; Bruce’s children: daughter, Kerry Eshenaur (David Bailey); sons, Jeff (Karen) Eshenaur and Paul Eshenaur (Mackenzie Marks); 10 grandchildren; two great-grandchildren; father-in-law, James VanderMolen; sisters, Darlene Eshenaur, Jan (Dan) Delke, Jonnette (Neil) Gelenczei; sister-in-law, Mary Eshenaur; and several nieces and nephews. Bruce was preceded in death by a brother, Jack Eshenaur; and two sisters, Betty Degeus and Doris Moore. A Celebration and Time of Sharing for Bruce will be from 1 p.m. to 3 p.m. on Saturday, January 26, 2019 at Klaassen Family Funeral Home. Visitation will be Friday, January 25th from 5 p.m. to 8 p.m. at the Funeral Home. Memorial Contributions may be given to the Harbor Humane Society or Noah’s Project Rescue.